McDonalds company has a wide range of loyal customers. Many people feel as if they grew up with McDonalds. People trust the company, and the McDonalds concept just seems to make people feel good.The company focused on restructuring and innovation and improving its operations. 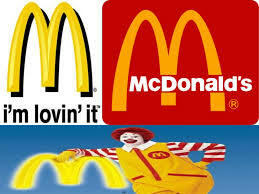 With implementation of this the company was able to retrieve its position within the food industry.McDonald has been a well-known and valuable brand for over half a century. Currently governments of certain groups in United States and Europe are tending to control the business of fast food because of health reasons (2005). Governments are also applying restriction for issuing license for franchises. There should be good relationships with government in giving tax and employments in international markets. McDonald is also pressurized by china because they are disrupting the culture. Working in an international market McDonalds must face international rules of business like about tax because each company has different rules for tax and for McDonalds franchise it must pay some percentage of its revenue to McDonald’s hade office in United Kingdom. Local markets cannot maintain the supply of materials that’s the reason McDonald import beef and potato to fulfill its demand. In international markets the economies of the country also affect the sales of the products because if the economy is not stable and people of the country have not much income it will effect the business. In developing countries the lifestyle of people changing very fast like Malaysia because of their developing economy more people of the country are financially able to eat fast food. In Middle East countries urban young generation wants new technology in their lives like wireless internet, credit card payment and other attractions like music. Advertisement is the most powerful toll of McDonalds to create a demand of its products and especially McDonalds works hard to create the demand of its product in the minds of young generation. As a worlds largest fast food chain obviously the consumption of “beef, potato, chicken” is more then any other food chains that’s the reason they had been critics and McDonalds is also disrupting the culture and McDonalds is trying to cover these issues especially in china. McDonalds cares its reputation in fast food market they follow 20 working hours for student employees in UK as according to the rule in UK and also internationally they respect all the polices which are applied for fast food chains.